US equity indexes closed moderately mixed, sp +3pts at 2503 (intra high 2508) . The two leaders - Trans/R2K, settled -0.3% and +0.6% respectively. 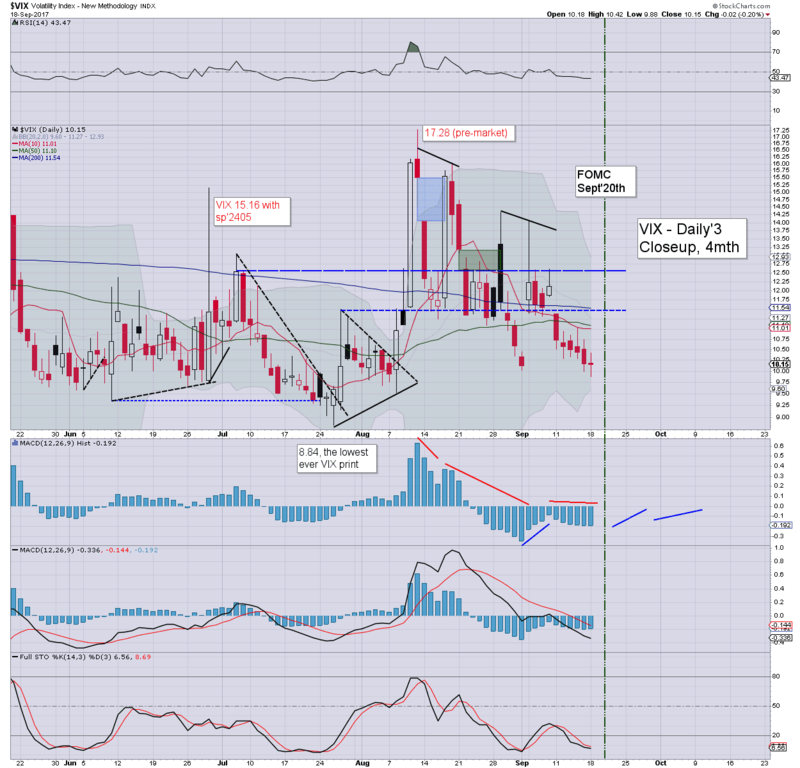 VIX settled -0.2% at 10.15. 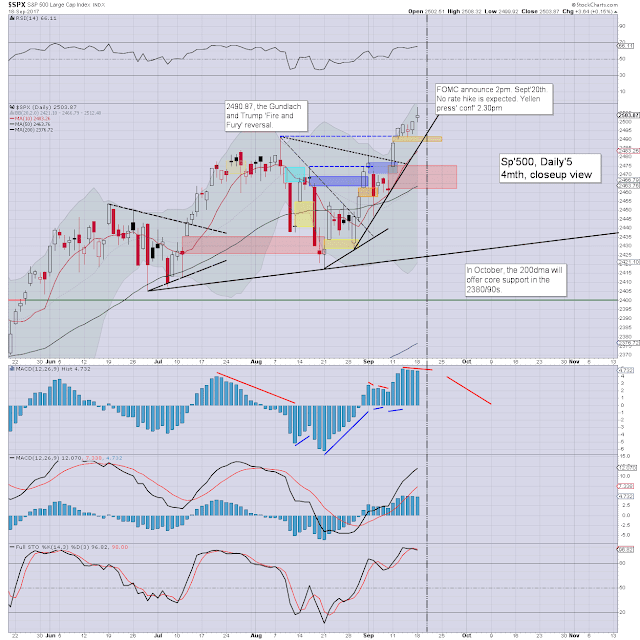 Near term outlook offers chop into the FOMC announcement this Wednesday afternoon. More broadly, a 4-5% down wave is still on the menu. US equities opened just a little higher, but it was enough to generate another quartet of index highs in the sp', dow, nyse comp', and the nasdaq comp'. Overall price action is pretty subdued though, and there is little reason to expect any drama between now and Wednesday 1.59pm. The VIX opened fractionally higher, but almost immediately cooled into the 9s, last seen Aug'8th. A burst to the low teens seems very viable in the latter half of this week. The key 20 threshold is likely out of range until we're in the more 'dubious' month of October.